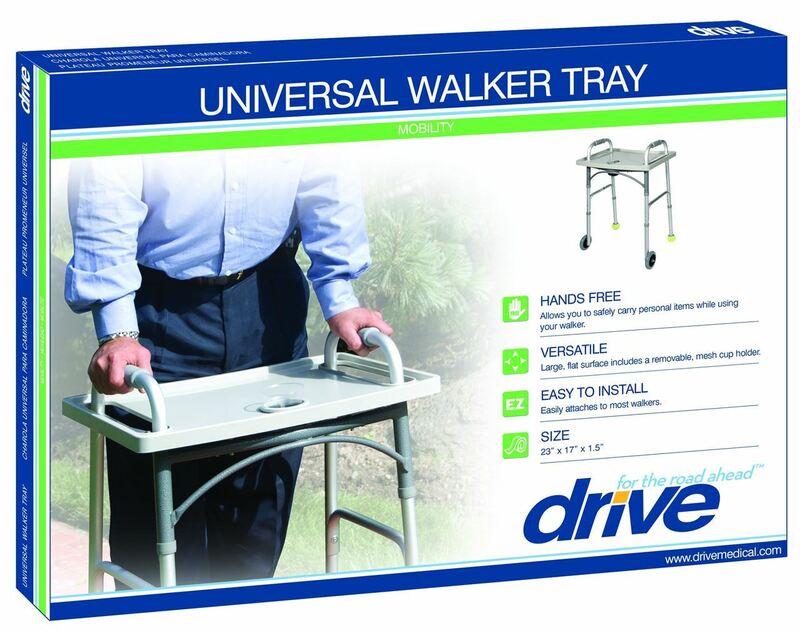 The tray allows the items of use to be carried along while you walk. The tray can be easily attached to most walkers. Large flat surface includes a removable, mesh cup holder.